“You gain strength, courage and confidence by every experience in which you really stop to look fear in the face. You are able to say to yourself, ‘I lived through this horror. I can take the next thing that comes along.” – Eleanor Roosevelt. I was talking with a friend last week and the subject of bravery came up. He said that if we want to fulfil our potential and be the best we can be, we have to be brave sometimes. This could mean taking the road less travelled and not being afraid to step outside our comfort zone. We agreed that there are times when you have to take a risk, a leap of faith and face fear in the face. On occasions we have to trust our inner voice when it prompts us to do something and take action. In last week’s blog, I talked about what stops us taking a leap of faith. 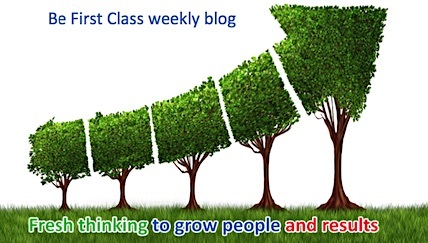 This week’s blog seems to be a natural follow on from that one. Below I have included a chapter from my latest book “Just Be” called Be Brave. It features one man’s bravery and his literal leap of faith! Be Brave (taken from the book Just Be written by Stephen Pauley). Life’s too short not to take a few risks! There are many stories of doom and gloom published and discussed by the media. There are stories of negativity, struggle, hardship and conflict on a daily basis. However, if you look closely enough there are also stories of humans achieving some wonderful feats, succeeding against the odds and defying conventional wisdom. There are many examples of inspirational people. I love hearing and reading stories about ordinary people doing extraordinary things. One such story relates to Verdun Hayes, a 101year old great grandfather from Croyde in Devon. During his life he has fought on the beaches at Normandy and won the Legion d’Honneur for bravery. He has flown gliders and crash landed in a hot air balloon. However, there was one thing that had eluded him for years which was skydiving. The activity where you leap out of a plane at one hundred and twenty five miles per hour for two minutes before you pull the cord on your parachute and open the canopy. This enables you to float back down to the ground at a gentler place. But Verdun didn’t let it go. On his 90th birthday he begged his wife to let him mark it in style. His efforts were in vain. She thought that he would injure himself and that he was too old. He went along with his wife’s wishes but he remained keen to fulfil his ambition. By the time he reached his centenary, Hilda was no longer around to protect him from himself. Sadly, she had passed away in 2013 after 75 years of marriage. Verdun had had enough of playing safe. He said to himself “Right, I had better do this jump then.” He said that he realised that life’s too short to worry about things going wrong. So in April 2016, he fulfilled his dream and jumped out of a plane, two miles up. It was everything that he had hoped for. He found it to be exciting, exhilarating and dangerous enough to get his pulse racing. He then discovered that at 100 years and 3 days old, he was the UK’s oldest tandem skydiver from 10,000 feet. However, he also found out that a Canadian called Armand Gendreau, who was 101 years and three days old when he jumped out of a plane in 2013, was the world record holder. Verdun wanted the world record and it gave him an excuse to do it again! So on a Sunday in May 2017, at 101 years and 38 days old, Verdun, in a canary yellow flying suit, strapped to professional skydiver Jason Farrant jumped out of a plane from 15,000 feet and secured the world record for the oldest person to do so. He was joined in the jump by his doctor and nine members of his family including his 74 year old son, his 50 year old grandson and his great grand-daughter and great-grandson. Verdun doesn’t see 101 as old. Whilst his family are extremely proud of his achievement, they are a little anxious about what he may do next. As far as he’s concerned his world is his oyster! What an inspiration Verdun is to us all. I hope that you remember this story when you catch yourself saying that you can’t do a particular task, if you think about giving up on a dream or tell yourself that you are too old to do something. When we are brave we grow, develop, learn and discover hidden depths and talents. If you have a dream that you’re not pursuing or if you wish things were different, feel stuck or you feel full of fear, remind yourself that if you change nothing, nothing will change. If this is the case “Be Brave” and take some action to change things positively. What would I do today if I were really brave?